Good Morning and happy Friday! 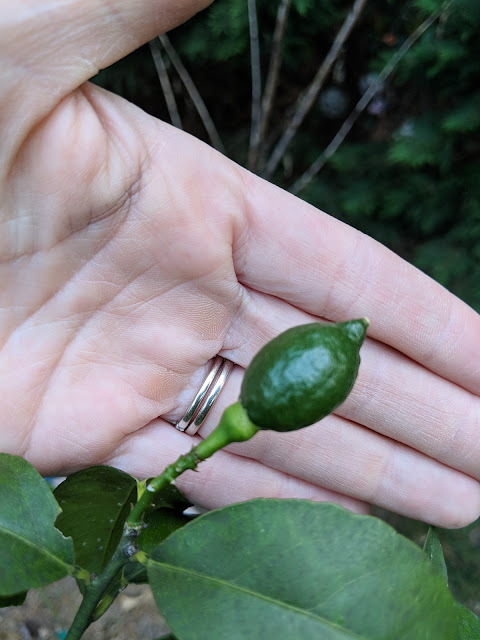 Today I am linking up with Andrea for Friday Favorites and sharing some of my tips on how we prepare our garden. 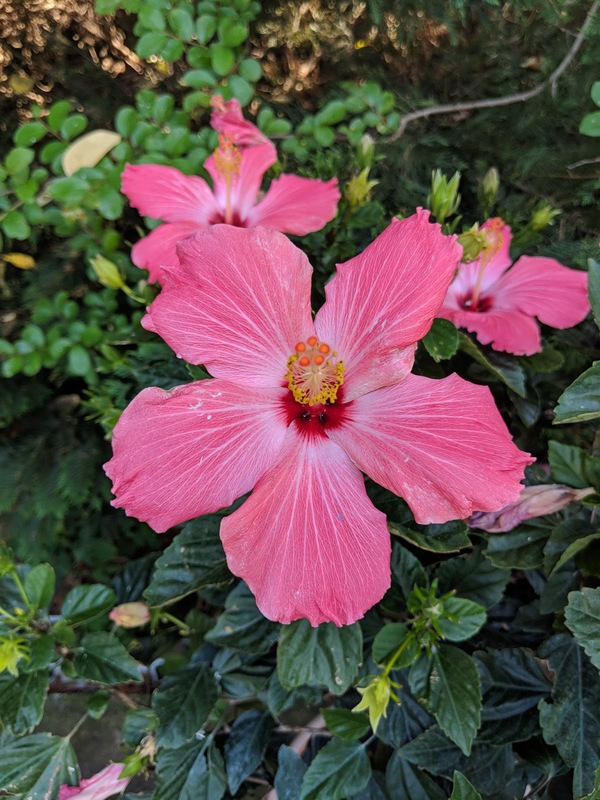 A hibiscus flower from my tree last year. Gardening is one of my absolute favorite things to do and I love sharing/talking about it with friends. I hope some of you are gardeners too, even if that means only a pot or two of flowers on your patio, so we can share some ideas and tips! Let's get started! So first and foremost, Devin and I will plan what we want in our garden each year beginning in the early spring. We like to begin discussing/planning in March and then we prep in early April. We talk about the things we grew last year that we loved/didn't love and what we would want to plant again or if there is something new we would like to try. We have both a flower garden and a vegetable garden and I am equally obsessed with both. 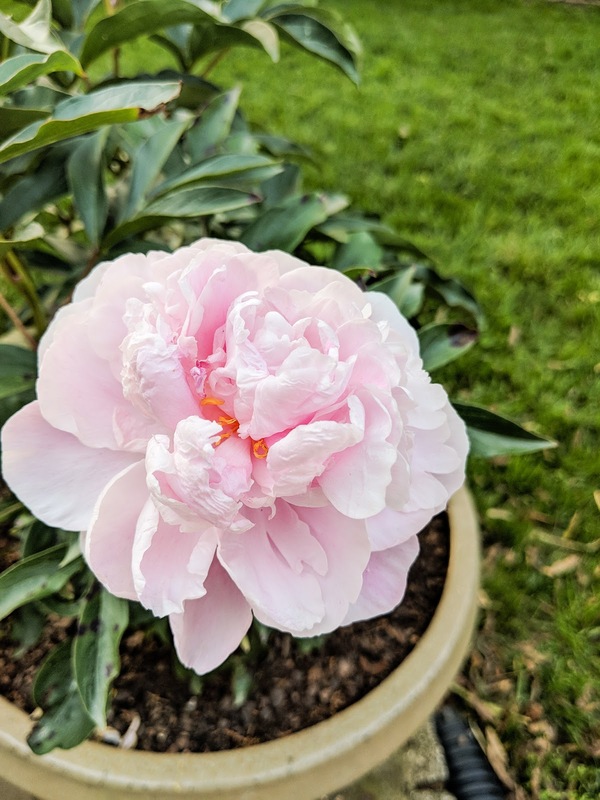 One of my peonies from last year. Devin leaves the flower garden up to me and everything for that pretty much stays the same from year to year. It's mostly made up of lots and LOTS of hydrangeas (both limelight for some height and the bushes for some color), some knockout roses, lilies, peonies, a hibiscus tree and some tulips. This spot behind the fence works out well because Tucker LOVES to dig/bury bones in the garden beds and he isn't able to access them. We have an easement on our property through Duke Energy so we had to leave that part of our yard unfenced anyway, even though it still belongs to us and we have access to it. So it works as the perfect place for garden beds! Each year we dig out what was there the year before, rake up the soil, and add in our compost from throughout the year (we are big on our compost!). We mix it in really well and then when we know our plants are safe from any more frost (usually mid April), we begin planting. We have tried planting both from seed and from seedlings and have had luck with both. We usually do a mix of both each year. We also have a planter on our patio where we grow our tomatoes, bell peppers, hot peppers (Devin grew ghost peppers and Carolina Reaper peppers in there last year-- which are CRAZY hot!). 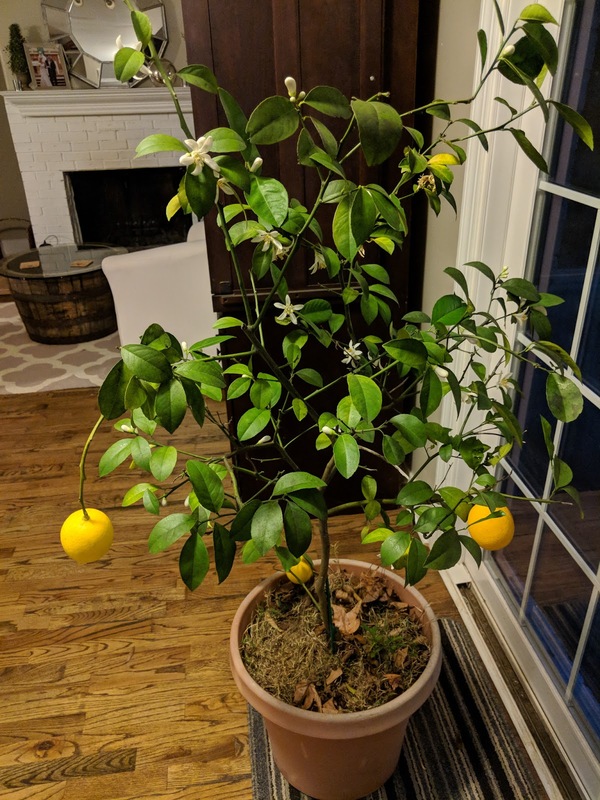 I also have a lemon tree that I bought when we came back from Italy in 2016 and have been obsessed with ever since. We had to move it indoors for the winter but these were some of our delicious Meyer lemons in January. Now we have some new ones starting for the spring. So when we plan, I LOVE to use this book that Devin got me years ago. 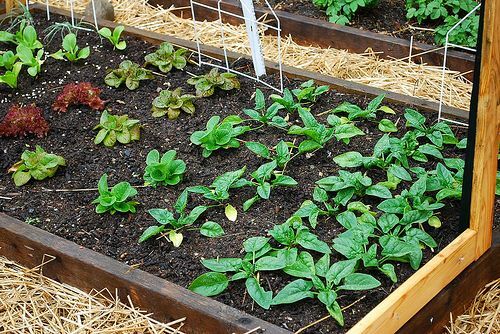 It helps you figure out which gardening zone you are in, and which plants would work best in your zone. 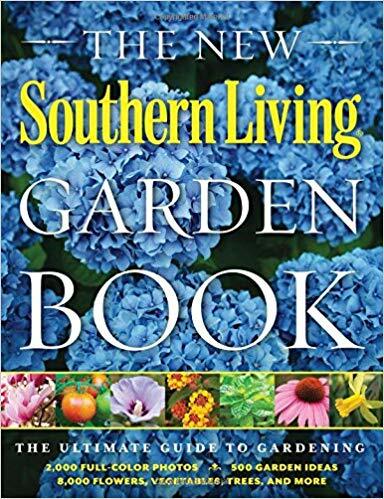 We figure out what we want to plant, where we want to plant it, and then do our research either in this book or online. Pinterest has everything you would ever need to know! Once we find something we want, we call around to Home Depot, Lowe's and two of our local garden centers/nurseries to see if they have it/how much they're charging. 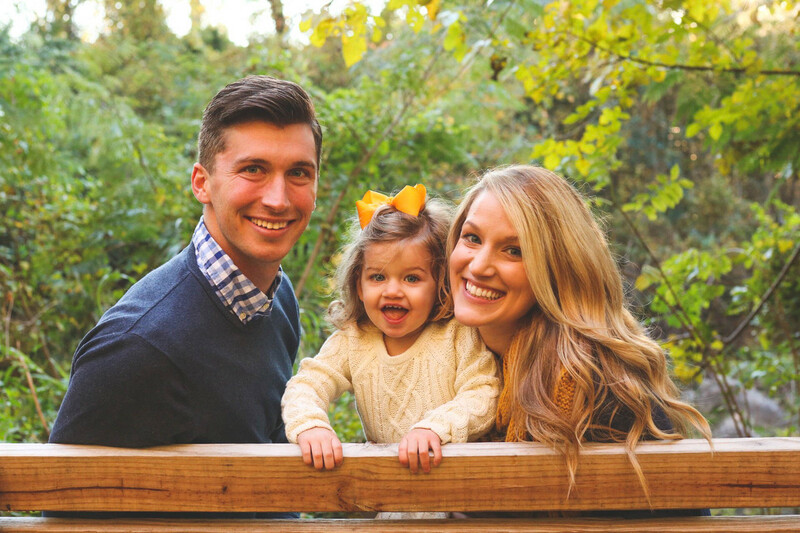 I love to call and speak to one of the people in charge at our local nurseries because they know SO much more than the employees at the Home Depot/Lowe's garden centers, at least in our experience. More than once we have been told at Home Depot or Lowe's "I don't know, they just put me out here today because it was busy and they needed extra people". Which I understand, but also, when we need help with something it would be nice to talk to someone who can help. We had this one patch of our lawn that would not grow grass for YEARS and after talking to the lawn specialist at our local garden center, Pike's, we got it to grow with ease. It was one of those "why didn't we do this years ago?" moments. I can honestly say I have learned a majority of my gardening tips through trial and error and talking to the experts at the local garden center when something doesn't work out. My mom and sisters have all recently gotten into gardening too and I love that we have this new hobby to share together. If you have any other gardening tips that I forgot to share, please leave a comment below! I love reading other people's thoughts/ideas. I love digging in the dirt. My mom has the greenest thumb you’ve ever seen and we go to tons of greenhouses every year to get all our flowers and plants. There's something so therapeutic about it! I just LOVE peonies!! They're so pretty and full. 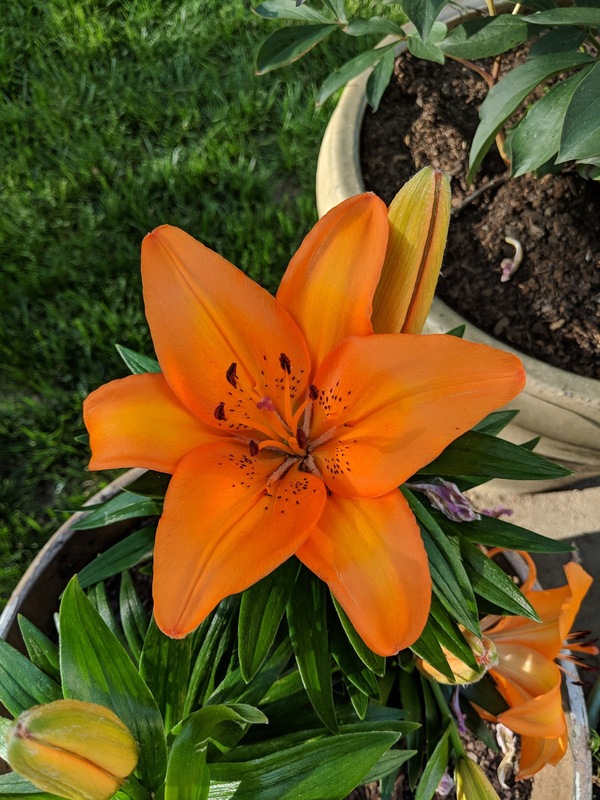 Mine won't bloom here until closer to the end of summer but I can not wait. Aren't they so beautiful?!! I love them too! I wish peonies would grow here in Houston. I love gardening, and your pictures are gorgeous. Hope you have a wonderful weekend! Oh my gosh your pictures are beautiful! Our gardening season is around the corner too and this post made me even more excited about it! That makes me happy to hear! Enjoy!